Anyone who knows me personally, know that I absolutely love taking photos. I think it is so important to try and capture as many photos as you can in life, especially if you have kids. Life goes by very quickly and even faster when you have kids. During the evenings I sit down and think of the future. I always think to myself that one day, when all three kids are older, moved out and maybe have kids of their own that they will come and visit me, I go into the cupboard or draw full of photo albums and we sit down to go through them. I have tons of photo albums in a box upstairs and thousands of photos on three different laptops. I have sat down with my Taid a few times going through old photos. Some I remember, some I don't. But there were also some of my family members that I had never met or passed away when I was too young to remember. It's always nice to look back and sit with someone who took the photo so they can tell you the story about that particular picture. 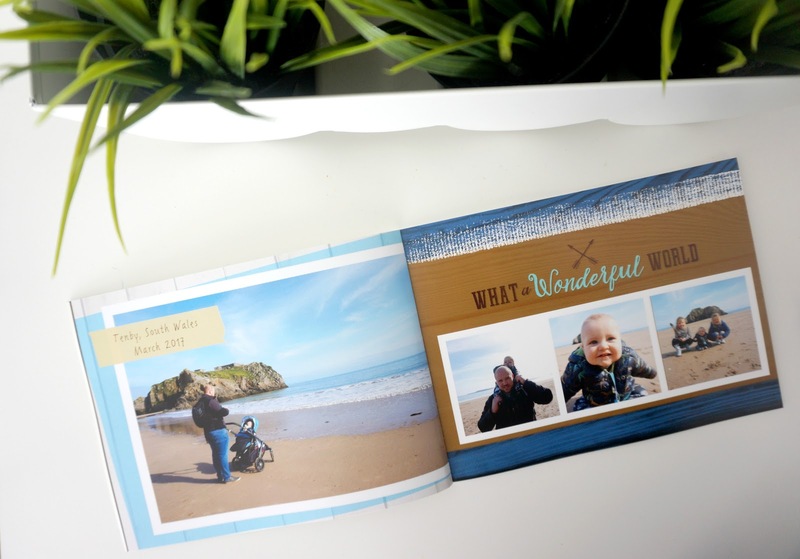 I have lots of pictures printed out and put in photo albums of the kids and our family adventures. When we all go out for a family day out, I always bring a camera. On average I can take over 200 or so photos. It's something I love to do. Lots may need deleting and others that may never make it in a photo frame but they are there in a photo album to look back at in years to come. Something I will never regret is bringing my camera out everywhere we go. 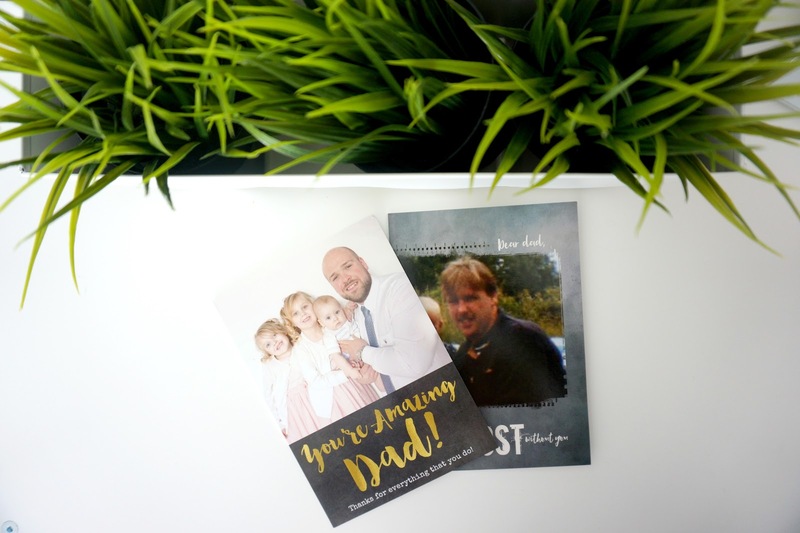 Snapfish recently asked us if we wanted to order some personalised gifts ready for Father's Day. I instantly said yes. As said above, I have a passion for taking photos and my second favourite thing is personalised items. 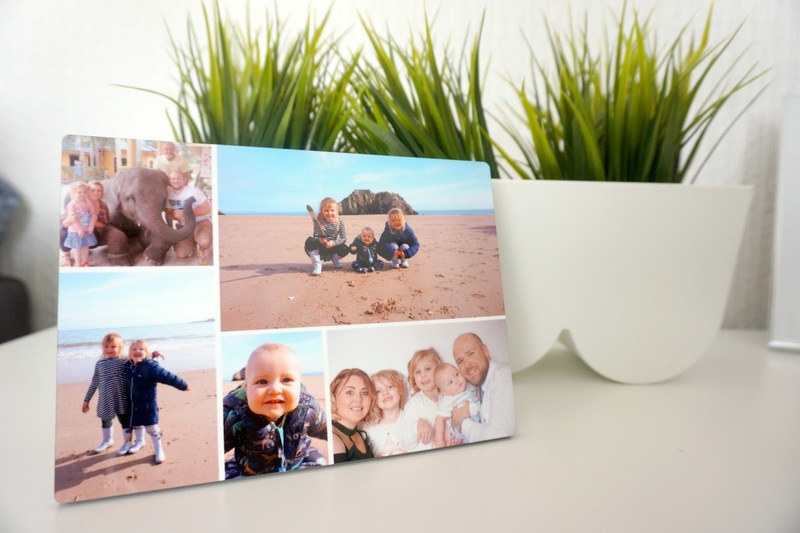 I personally think personalised items are a lovely gift for everyone. It's a gift that they can keep or display somewhere in their home, and a gift that means something special. The first thing I decided to order was their new Paper Cover Photo Book. There were many different designs and ways to personalise the book to your own taste. I decided to go for a family adventure type theme for our photo book. Each page has a different coloured and patterened background. Different amount of photos, stickers, and quotes written on each page too. I loved the fact that you can also add your own text on each page. As we are Welsh, I did add a few welsh sentences, and they're the words that the girls say too. 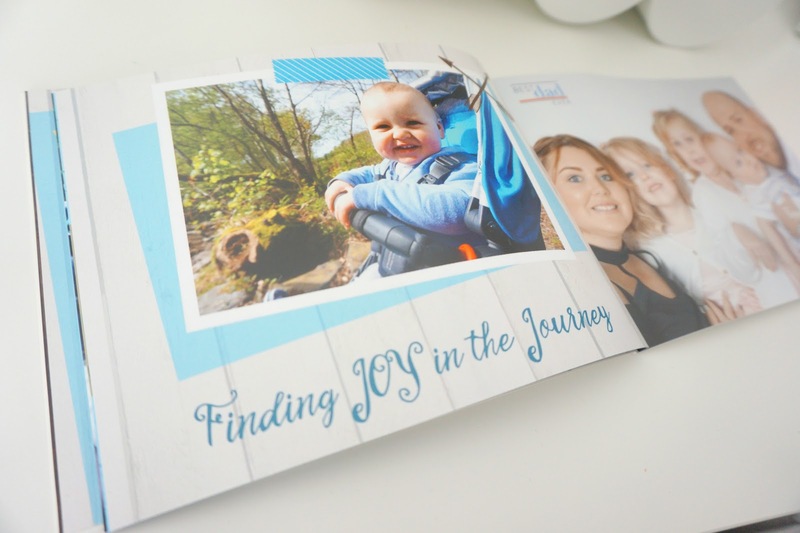 I chose a mixture of photos such as a mix of our days out as a family, special occasions and natural photos taken from our home. But also some photos that mean a lot to us such as holding our babies for the first time. This photo book will be treasured forever and will be one of the books we go through with our children, and maybe grandchildren too when we are older. The second item I ordered was one of their Tabletop Wood Panels in a 7x5 size. I was overly pleased when I received this item. Again, I was able to personalise this to my exact taste. 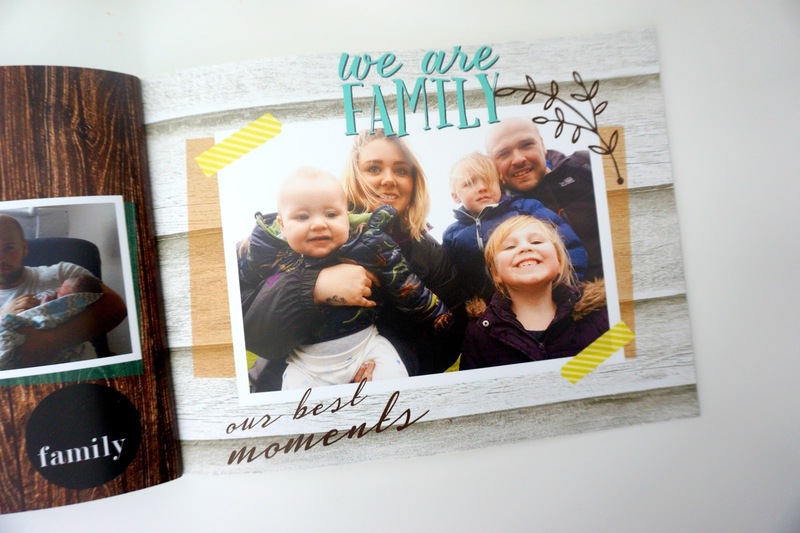 You are able to choose different collages, or a single photo, add text, stickers and ready-written quotes if you wished. I chose a simple collage that fitted 5 photos. I decided to add a few of my favourite photos from when we visited Tenby in South Wales during our trip down to Bluestone. I also added one of my favourite family photo of us all taken on the morning of Freddie's Christening. 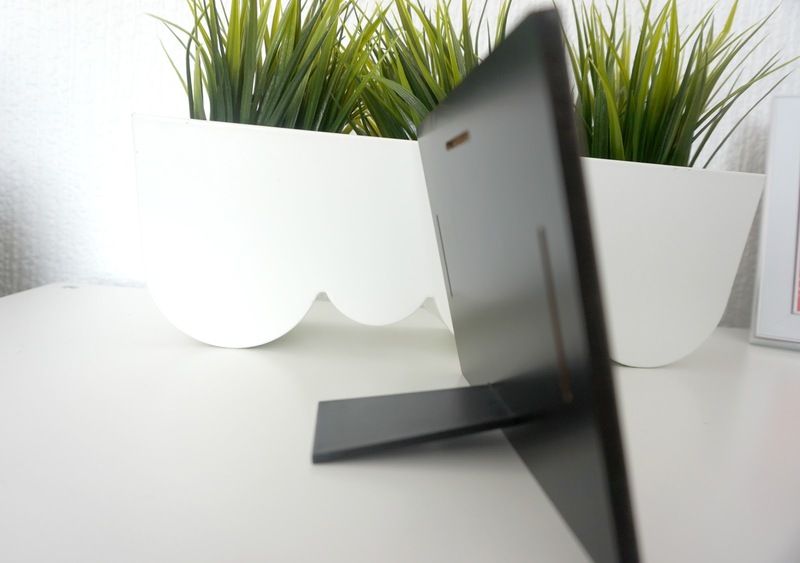 It's the perfect touch to any top fireplace, office desk, and any other table-top furniture. The last two items I ordered were Father's Day cards for my partner, from the kids and a Father's Day for my own Dad. There were many different designs to choose from. 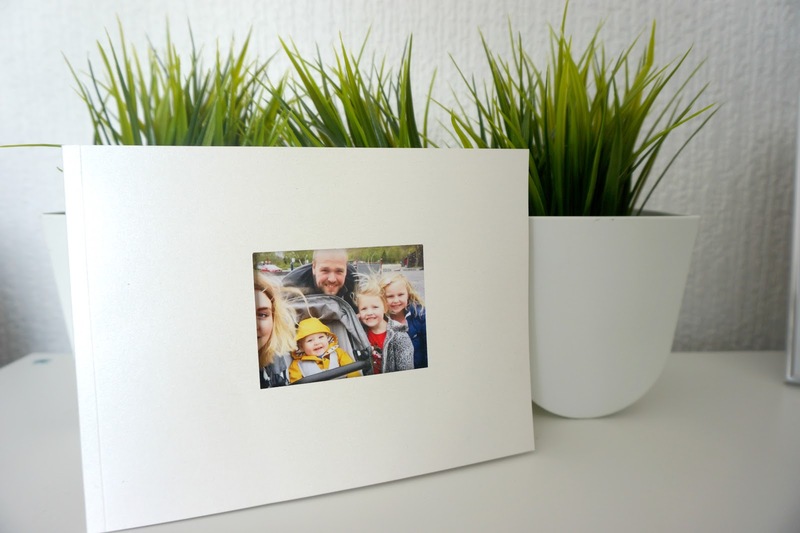 If you're not keen on their templates, you can start one yourself from scratch and make it your own - that's what personalise items are all about. You make it your own. I really liked their templates and chose two different ones for the cards. 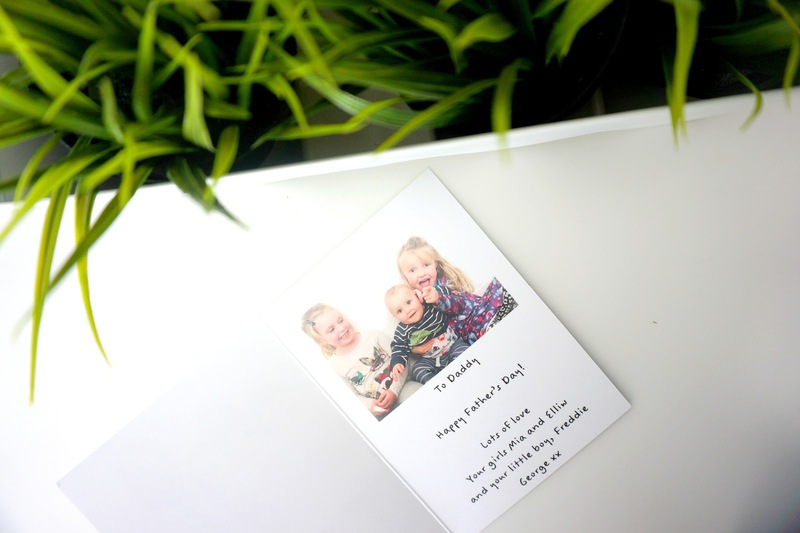 You get the choice of where to write inside the card and what font you want, as well as the size. I am overly pleased with the quality of both cards. Father's Day means a lot to me. I was brought up by my Dad as he was given full custody when my own Mother basically couldn't be bothered with my brother and me when we were younger. But also a lot of other things happened too. It was the best decision and the best thing that's ever happened to me as I don't even like to think what kind of person I would be right now if my Dad weren't given full custody. He did his very best throughout my whole life. He had to give up his well-paid job that he was fully trained for and would have probably been very high up by now so he could care for us. His job was late nights and not the best hours for a single parent with two young children. For over 13 years he has been working in a primary school as a caretaker and a lollipop man. He absolutely hates being a lollipop man, but it brought money to the house to keep a roof over our heads and to give my brother and me everything we needed. I appreciate everything he has done, and just like the card says, I would be truly lost without him. The other man I appreciate is my partner. He is an amazing Dad to Elliw and Freddie, as well as an amazing Step-Dad to Mia. Not many know that my partner isn't Mia's biological Dad, but he brings her up just like she is his own. She is lucky to have two Dad's in her life. When I fell pregnant with Elliw, I honestly thought our relationship wasn't going to work out, and he was just going to up and leave. I petrified having to go through pregnancy on my own, again, like I had to during my first pregnancy. But, he stuck with me, moved in together and was my absolute rock. 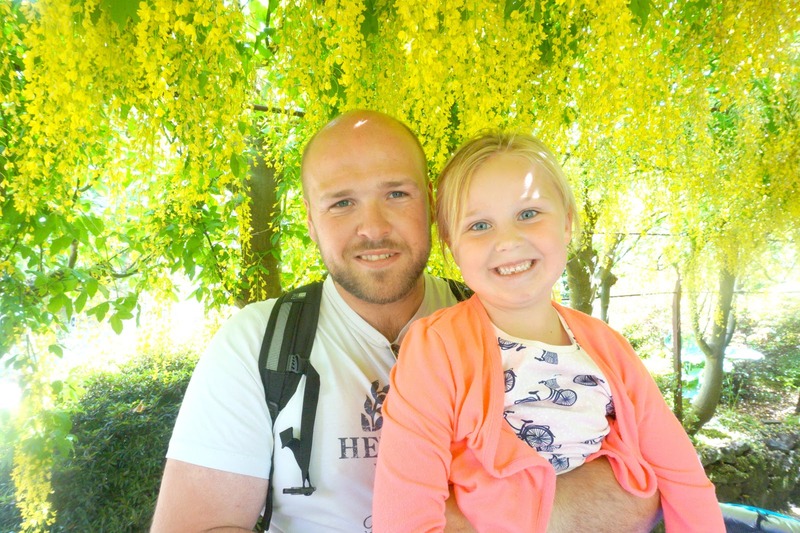 Having the experience of my partner and baby's Dad being with me, supporting me during labour meant the world to me. Six years later we have bought a house and added a little boy to our little family. We've been through some tough times recently but he is the most amazing Dad to our littles, and I hope one day they will praise him for being such a hardworking and amazing Dad, just like I do. * We have collaborated with Snapfish for this post. But as always, all words, images and opinions are entirely our own.